HE WAS KNOWN as the King at Old Trafford, and it seems Eric Cantona is to begin a new reign in New York. The Manchester United legend is to take up a new director of football role at the Cosmos. The famous old franchise is rising from the flames, with their eventual aim being to secure a place in MLS. And Cantona himself announced his latest move today on the club’s website, following a dramatic drum-roll with a puff of a cigar and then the statement: ‘we are back’. In a statement on the official website, the Frenchman added: “I am very honoured to join the legendary New York Cosmos. It’s a big project, a wonderful project. “The Cosmos are very strong, beautifully made, with a great past. It’s kind of a mix between football and art. The Cosmos were made famous of course thanks to the glamourous days of Pele et al in the North American Soccer League during the late 70s. Chairman Paul Kemsley says it is a ‘dream come true’ to be able to recruit the former France international. He said: “Three years ago, when I first had the idea of reviving the New York Cosmos, I couldn’t have dreamt we’d be able to attract an icon of the likes of Eric Cantona to the club. Kemsley bought the naming rights and has Pele on board as club president. It’s going to be interesting. 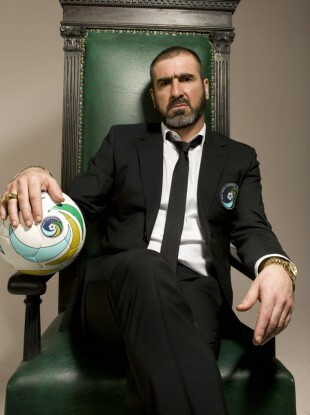 Email “New York, baby: Cantona reaches for the stars in return to football with Cosmos”. Feedback on “New York, baby: Cantona reaches for the stars in return to football with Cosmos”.